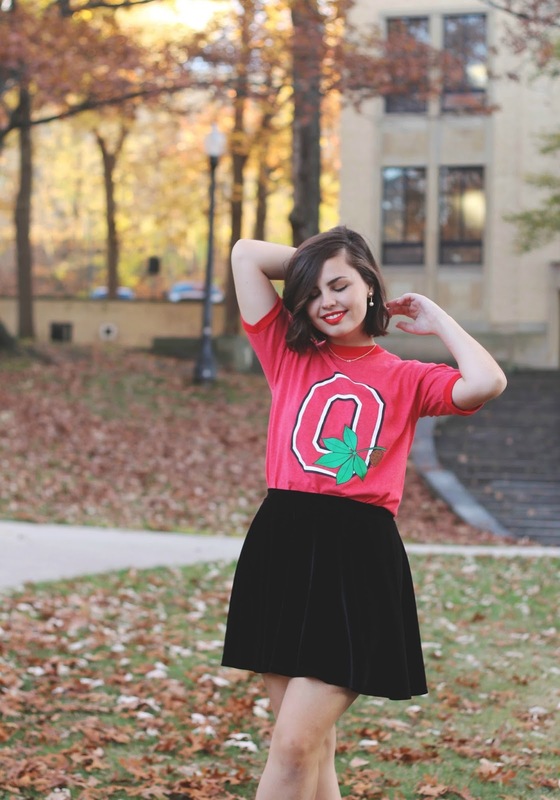 Ohio State T-Shirt, Velvet Skirt, Loafers, Quilted Purse, Earrings: Thrifted. 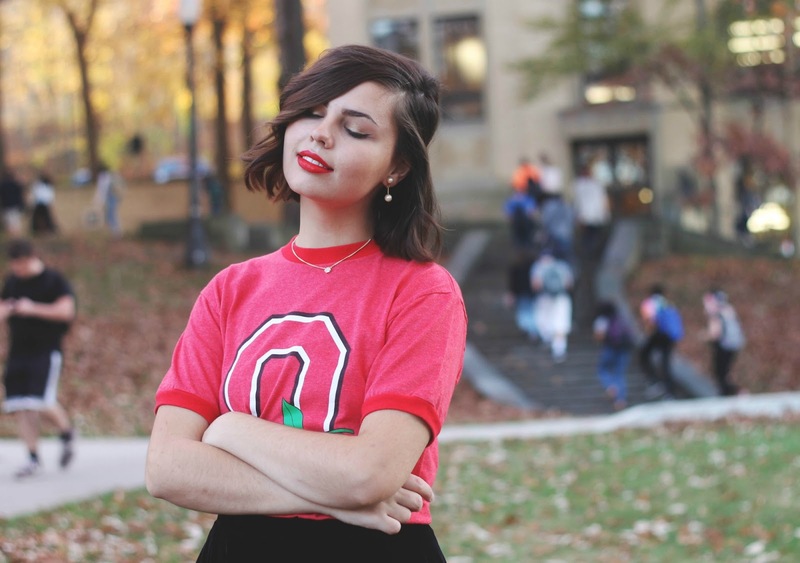 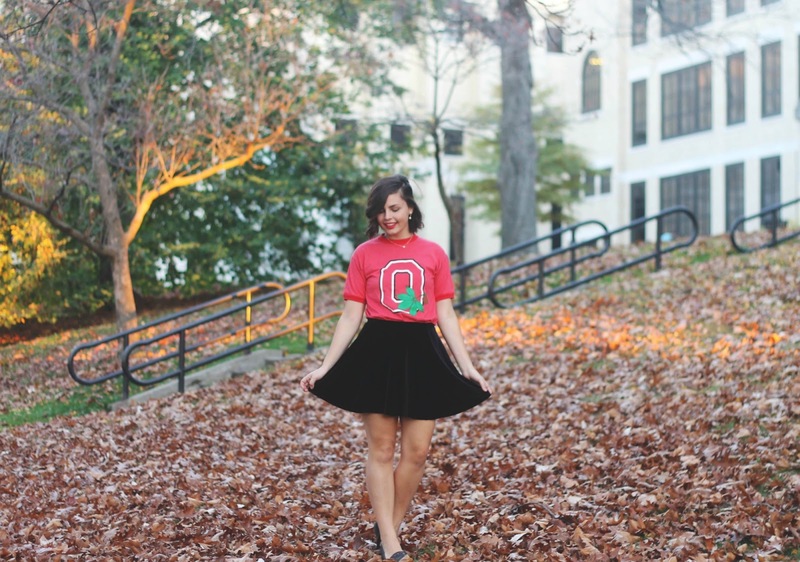 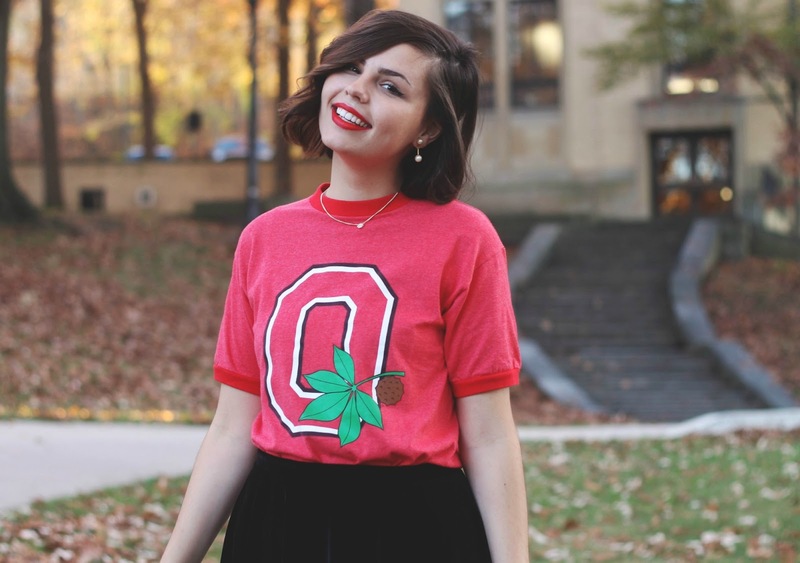 Since my shirt is thrifted and I have no clue where it's originally from, here are some other cute + fashionable Ohio State apparel that has a similar feel! 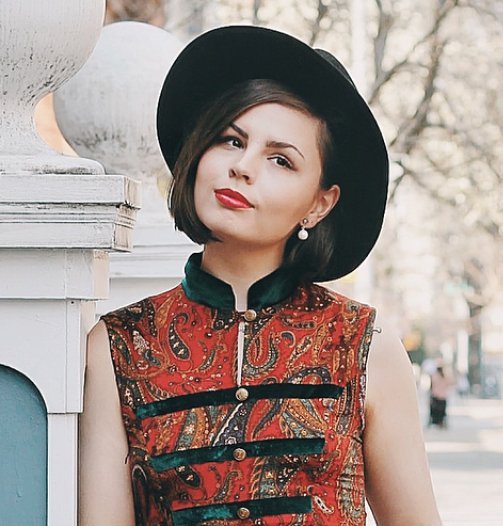 Love your hair this way, Lauren :-) Adds instant "BAM" factor to your outfits! 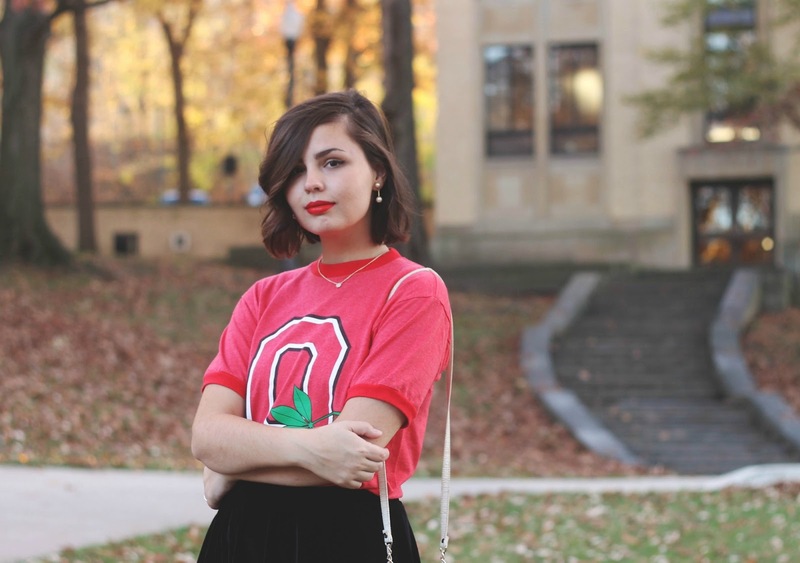 Short hair FTW!